Looking up can be a rewarding experience especially in these days of smartphone zombie syndrome. In fact, if you happen to be in the UK, tomorrow will treat you to a solar eclipse, the first to cross the UK in some fifteen years. But walking through Shibuya in central Tokyo you find yourself constantly side stepping people with phones to their faces, oblivious of the world around them. 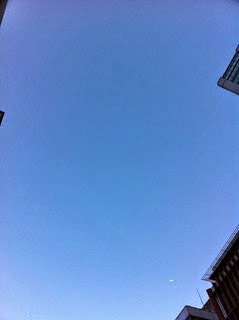 So here are a few things we've seen in the sky over Japan in the last couple of years. Night over Shibuya as a storm approaches, the rain had started to fall and the city lights illuminated the sky. This was followed by fox tears, rain falling from a clear blue sky, I've been fortunate enough to see this twice in Japan. But a photo is a simple blue sky so I've skipped that one. Remarkable event to witness though. The next is simply sunset after a typhoon, the sky in the West will often light up with fire. Then there was the day in 2014 when the old Olympic stadium, constructed for the 1964 Games, Japan's coming out party in effect, was finally decommissioned. 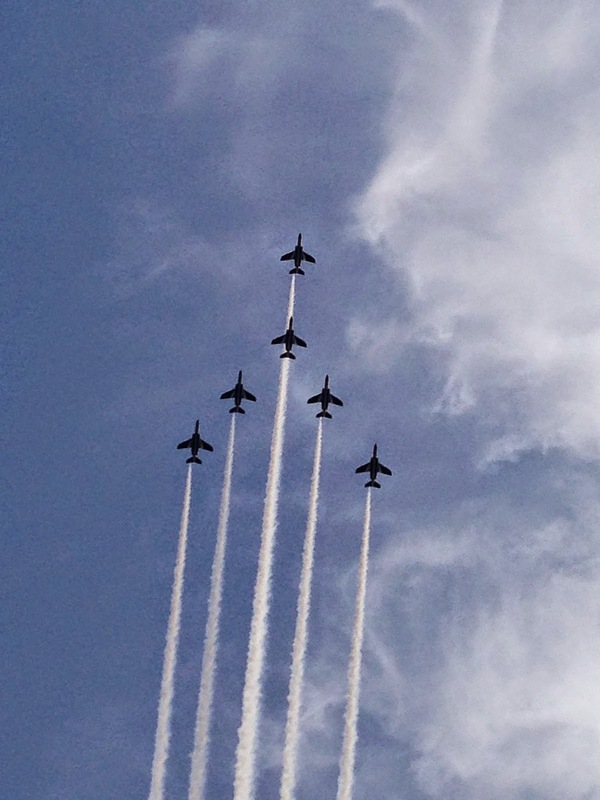 A rare salute from Blue Impulse, Japan's Self Defence Force (military) display team passed directly over central Tokyo and actually looked fairly spectacular though comments on Facebook asked whether the Chinese were invading. 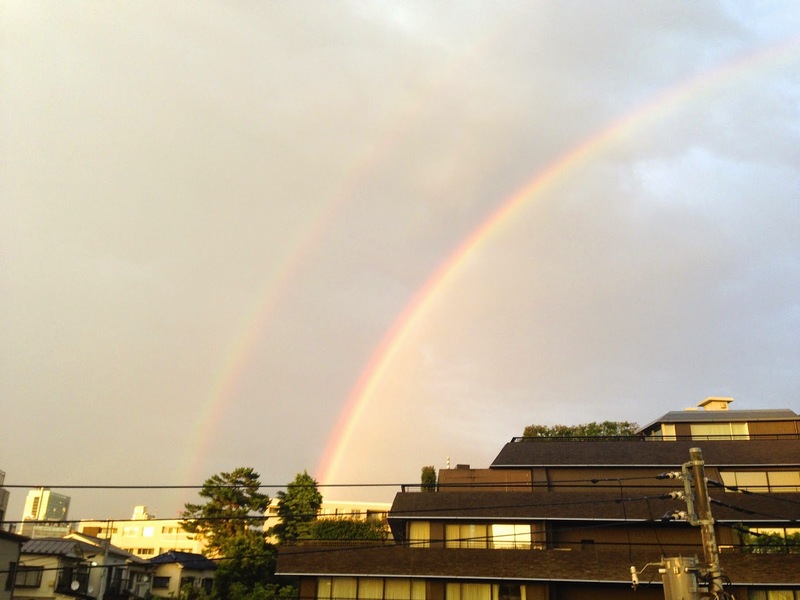 Following Typhoon Neoguri we were gifted a rare double rainbow that lasted for several minutes in the early evening sky. 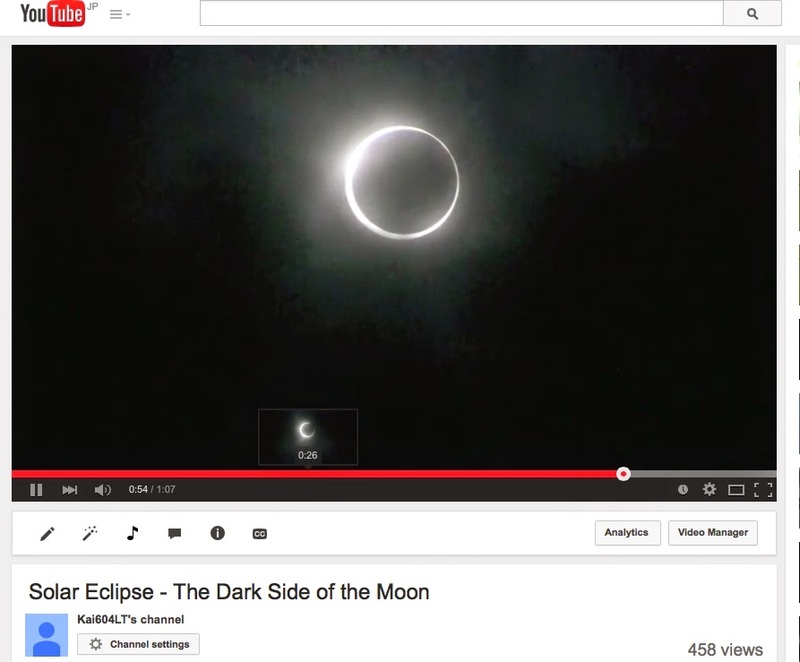 And in 2012, a solar eclipse actually crossed over the early morning of Tokyo allowing us to video from the west of the city. Sadly the east was covered in cloud (you can see the video here). And then one evening the sun itself actually chased my Shinkansen as we travelled to the mountains of central Japan. The sad one was for the Transit of Venus in 2012. 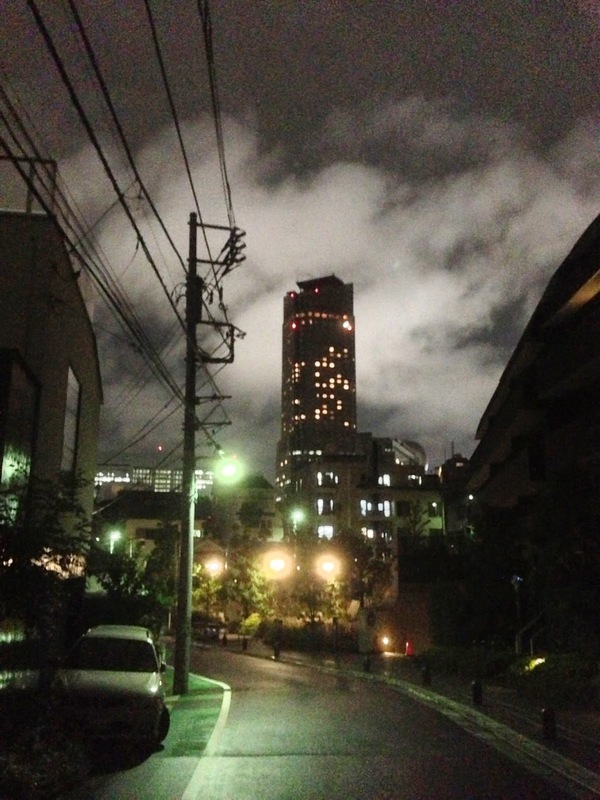 It was raining that day in Tokyo and as the clouds obscured any chance to witness the event, we were out of luck. The next chance is 2117 though I'm not planning on being around for that one. So tomorrow look up from your phone. You never know what you just might find.